While things may appear to have been pretty quiet at Liminal Sounds HQ over the last few months, we have been hard at work plotting our next moves behind the scenes. With everything now in place, we are really pleased to announce that the next release on our label will come from Melbourne-based DJ and producer Air Max ’97. 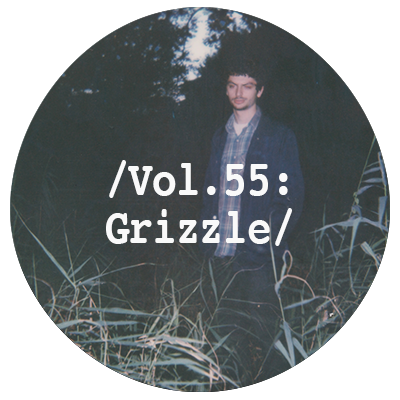 In honour of this, we caught up with him for an introductory chat and have handed him the reins for the latest volume of our mix series. Through two self-released EPs, a selection of deftly reworked edits and a burgeoning catalogue of unreleased dubs, Air Max ’97 has quickly asserted his flair for making fresh, inventive and deeply idiosyncratic club music, which he aptly describes as oblique club trax. Aside from the core understanding that his music is built to work on the dance floor, Air Max ’97 is constrained by little else, and that feeling of stepping into the unknown is immediately evident in his productions, which are full of unexpected twists and turns. Avoiding the all too common pitfalls of adhering to any kind of formula, he sculpts his tracks with precision and finesse, pulling unique grooves and high definition melodies into unusual structures, while managing to maintain immediacy and physicality. Clocking in at just under an hour, Air Max ’97’s contribution to our mix series is a great showcase of the sounds that feed in to his music. Mixing up club jams with RnB and Hip Hop, he blends tracks from the likes of Acre, Gage and Mike G with a selection of his own tracks and edits to create a propulsive dance floor session. 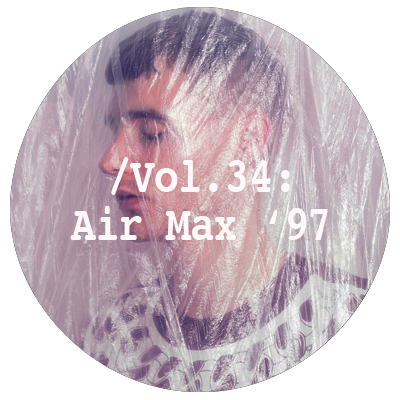 Check out the mix for a taste of what Air Max ’97 is about and watch out for more details about his forthcoming EP for us, which will be surfacing soon. My name is Oliver and I produce music and DJ under the name Air Max ’97. I currently live in Melbourne, Australia. When did you first get into production and what impelled you to do so? Air Max ’97 started as a DJ thing. I used to just play occasional house parties and then a friend asked me to DJ a party she was organising very last minute and that’s the name that went on the bill. From there I started playing in a club context more often, and it was that, combined with an obsession with certain tracks and producers that was the spark to start making some remixes and tracks of my own. How do you think your production style and musical taste have developed to the point they are at now, and has one naturally followed the other? I used to listen to a lot of noise, ambient and ‘experimental’ music, and indie before that. A few years ago I began listening to DJ mixes, the first few including Becoming Real’s FACT mix, a Girl Unit one, Nguzunguzu’s Perfect Lullaby and a couple of O F F Love tapes. I fell in love with this hybrid field of club production with pop tracks and remixes and the really particular vibe that each artist was creating. From there I started connecting dots through different dance music scenes and histories, going through the catalogues of different labels and listening to a lot of rap mixtapes and stuff. I’ve been lucky to catch live sets by Girl Unit, MikeQ, Rizzla, Zakmatic, Mike Gip, Bambounou and Jam City, either on their Aus tours or while I’ve been overseas that were hugely inspiring. Also seeing some of my friends like Captain Solo, Crushcore and Ripley play house parties. In the last year or two trawling soundcloud for hours and hours and tuning into Rinse and RWD FM has been really important, and just recently reaching out to other producers/DJs to swap dubs etc. My production style so far has been quite exploratory, working towards something of my own that is kind of lush, kinetic, present?? My newer productions have been a little heavier, and I’m focusing a lot on tightening and fattening things to work properly in the club. So I’d say the development has been natural, but like, twisted. A lot of contrasting sounds and influences come through in your productions, did you set out with a certain vision or focus in mind for the Air Max ‘97 project? Not really, it has always been a kind of abstract feeling involving movement and interesting sounds. Beyond the loose framework that the tracks should work in the club I don’t set constraints, and I’m uninterested in adhering to a certain genre. My influences are quite specific but I try to vibe off the energy of the stuff I love, do a lot of experimenting and end up with something pretty different. Do you make any other completely different music that people perhaps don’t get to hear? Well I do finish some tracks and think that they aren’t Air Max ’97 so they don’t see the light of day. But currently Air Max ’97 is my only project and #1 focus musically. You are also a designer and visual artist as well right? How, if at all, do you think that feeds into your productions and visa versa? Yes I also do design and art. My design work influences the visual aspect of Air Max ’97—so far I have made all of the graphics for the project. I think coming from an art context helps me to remember that there are no rules, and gives me some critical thinking to approach the world of music. Not sure about vice versa.. The way you construct your rhythms and melodies is really unique, are you self-taught when it comes to music? Thanks! Haha yes I’m totally self-taught musically, which I’m cool with. I feel like the gap between my ability and ‘proper’ musical knowledge is really generative. When you sit down to make music are you conscious of what you want to do with a track before you start? Most tracks start from a very rough rhythmic or melodic idea I’ve mumbled into my phone, which I then try to see through to a complete track in one or two sittings if I can. So there is usually a specific initial direction, but then I try to be really free and see where each project wants to take me. The good tracks kind of feel like they write themselves. I guess this is paradoxical but I’d like to think that a sense of sonic diversity is inherent to it all. Like I want each track to be a unique little ecology unto itself that fits into a wider ecology of sound. I think an obsession with percussive patterns is consistent across it all too, and maybe a certain sonic palette is emerging. But it’s hard to analyze my own tracks objectively. As soon as music enters the public sphere, each listener is quick to attach their own perception to it, but it is interesting how that often differs from an artist’s own understanding of their music. In simple terms, how would you describe what you do? You self-released your first two EPs, ‘Internal NRG’ and ‘Anodized’, through your own Bandcamp. What was the thinking behind that? To get the material out. It meant that I could get those tracks out of my hard drive/mind and progress on to new ones, and it also allowed the Air Max ’97 project to reach a few people. The internet loves free music. You are also attached to Club ESC, can you tell us what that is all about? I’m one of 3 founders of club ESC, along with Aspartame and Rap Simons. Club ESC is a club night that launched this year, with the intention of representing our oblique club music flavour here in Melbourne. The first night really exceeded our expectations which is encouraging. We make sure the club is set up right with some artwork, good lighting and plenty of smoke. We do all the graphics in house and we’re developing a line of merch that will expand as the night continues. For our first night we art-directed an animated clip by Matt Greenwood that we were really happy with. Club ESC has a tagline “100% PLUR 100% OF THE TIME” that reflects the open, fun vibe we want, like really creative/queer/freak friendly. We’ll be booking people on our tip from around Australia as well as presenting international guests, either as club ESC exclusively or in collaboration with bigger organisers. The next thing will be a early morning ESC takeover at the RBMA night for Kingdom here in a couple of weeks. What is the music scene like in Australia? Do you think being based there has had any tangible effect on the music you make or your understanding of its context? I’m reluctant to say what it’s like in the whole of Australia, but the music scene in Melbourne is pretty big and diverse with a major indie rock slant. There’s an established experimental and improv scene that kind of bleeds into the art world. Club wise, there are a good handful of venues and nights, each doing their own thing. We think club ESC fills a gap with a kind of dynamic / genre-agnostic club music vibe. But I don’t go out every night of the week and I’m not from Melbourne (I grew up in New Zealand), so I might not be the best person to comment. In general though I think that Australia has smaller underground infrastructures than places like the UK and USA. And given the distance from Northern Hemisphere centres and the cost of travel out here, international guests are by default really expensive, which is tough. Being based here has definitely had an effect on my production; my connection to the global music community is inherently mediated by the internet, making for diverse reference points. This is cool, but I also feel a bit isolated. I imagine it would be different coming up in a place with more established aesthetics or hierarchies. Right now I’m on a mission to find more like minds over here; people like Strict Face, kTrax + HPMini, Brother Sister Records, etc. Understanding my music’s context is tricky but it seems like that is for the music to find for itself, rather than for me to decide? Looking forward, what have you got coming up over the next few months? 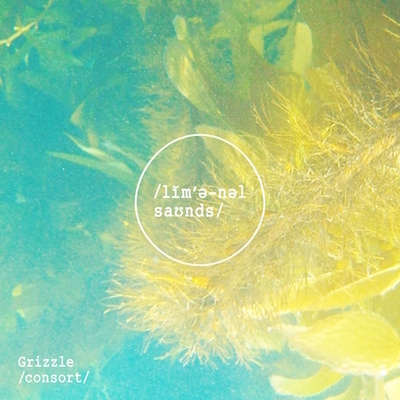 A release with Liminal Sounds, which I’m really excited about. Club ESC nights. DJing some fun parties. Europe in May. TRNSMT.TV every Thursday night 11pm-12am AEST. A couple of mixes and remixes here and there, hopefully plenty of new tunes. Work, hustle. Can you talk us through the mix that you have put together for us a bit…How and where was it recorded? Is it a fair representation of what people can expect to hear from you if they go to see you play in a club? The mix was recorded at my house on Traktor with a Xone K2 controller. It is more or less indicative of what I play in my sets, although in the club I also go into higher and lower BPMs, and play some funner, poppier stuff to temper the more abstract jams.